Feel Welcome, Feel Healthy, Feel Comfortable. 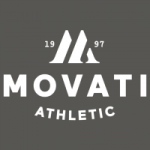 Welcome to Movati Athletic Guelph. Our philosophy As soon as you step inside one of our clubs, we want you to feel welcome whatever your ability or level of fitness. We work hard to create an unintimidating environment where you will feel comfortable, keeping you motivated towards achieving your health and fitness goals. All of this adds up to a fitness experience that is focused on only one thing: making sure you feel healthy.